Overlook Medical Center, in Summit, New Jersey, offers medical advances for brain tumors. At Atlantic Health System, we understand that a brain tumor can be a devastating diagnosis - but there are many promising options today. Drawing on the specialists and expertise of the Atlantic Neuroscience Institute and Carol G. Simon Cancer Center, the Gerald J. Glasser Brain Tumor Center at Overlook Medical Center in Summit, NJ, provides diagnosis and treatment of both benign and cancerous tumors of the brain, skull base, spine and spinal cord. As a member of the National Cancer Institute (NCI) Cooperative Group System and the Alliance for Clinical Trials in Oncology, the Gerald J. Glasser Brain Tumor Center is able to provide patients with access to the latest cutting-edge treatments. Kurt Jaeckle, MD, chief of neuro-oncology at Overlook Medical Center, recently joined the Gerald J. Glasser Brain Tumor Center as co-director after 16 years at the world-renowned Mayo Clinic in Jacksonville, Florida, and seven years at MD Anderson Cancer Center before that. Dr. Jaeckle has served as principal and co-investigator on several national and international Phase I-III clinical therapeutic trials, which have evaluated new chemotherapeutic and novel molecular targeted agents for the treatment of brain tumors. "We have new and ongoing trials that look to circumvent the powerful blood brain barrier," says Dr. Jaeckle. "From a biological perspective, this barrier is great because it keeps the brain very protected from potentially harmful substances. But from an oncology perspective, it means that many drugs are not able to get through to the brain. The clinical trials we can offer patients give hope for the present and future of neuro-oncology," adds Dr. Jaeckle. One of the clinical trials currently open to patients is a brain tumor vaccine. Patients who have surgery at Overlook Medical Center for the removal of glioblastoma multiforme, the most common and aggressive form of brain cancer, may also receive an experimental brain tumor vaccine called DCVax-Brain. The vaccine, created by combining tissue from the patient's own tumor and white blood cells, has shown promising results. The Gerald J. Glasser Brain Tumor Center has a dedicated board-certified neuropathologist - one of about 1,000 in the United States - who specializes in diagnosing diseases related to the brain, nerves and spine, and is a critical part of the patient's medical team. Although the patient may never meet the physician face-to-face, it is the neuropathologist who makes the diagnosis by analyzing the tumor microscopically. While the patient is still on the operating table, the neuropathologist will analyze the brain tissue, do an intraoperative consult, and make a recommendation based on what he sees under the microscope. The tissue sample is then further processed for a full evaluation, which includes histology and a molecular genetic profile. Through advanced molecular testing and tumor subtype classification, the brain tumor team can now predict an individual patient's expected response to various therapies, including immunotherapy. There are several advanced surgical approaches for brain tumors, one of those performed on patient James Checchio. Experience makes all the difference. Neurosurgeons at Overlook Medical Center perform more brain tumor surgeries than any other institution in New Jersey. Under the direction of renowned Yaron Moshel, MD, co-director of the Gerald J. Glasser Brain Tumor Center, patients have access to the most sophisticated operating room technology and surgical skill available today. 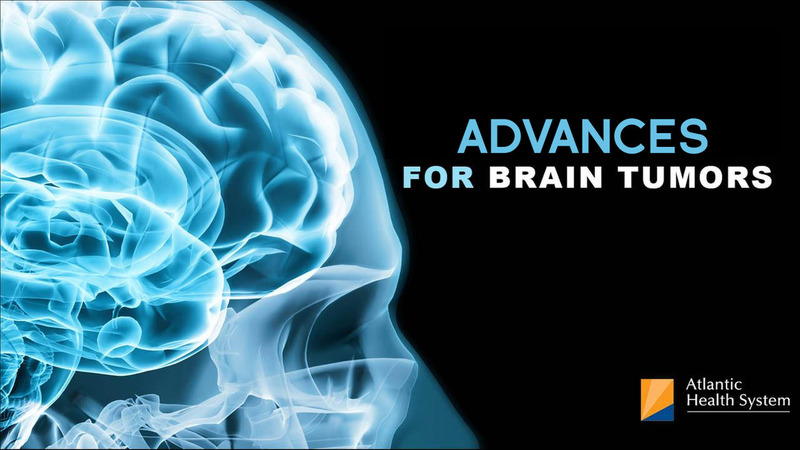 Today's most advanced neuroscience imaging enables the neurosurgeon to determine best surgical methods, such as endoscopic trans-nasal surgery, traditional open microsurgery, or awake brain surgery, and how to approach eloquent tumors that are in the most difficult areas to reach in the brain, including the brainstem. With intraoperative functional brain mapping, the brain surgery can be tailored to each patient and less invasive surgeries can be done through smaller openings. The Gerald J. Glasser Brain Tumor Center is unique in its comprehensive team approach. Each patient goes through a process of treatment planning and delivery using the expertise of brain tumor specialists in neurology and neurosurgery, otolaryngology, radiation oncology, neuro-oncology, precision medicine and genomics, neuropathology, and neuroradiology. Ultimately, the suggested treatment plan is discussed with the patient and a surgical approach is determined. Once in the operating room, the neurosurgeon can make decisions based on what was already discussed with the team and the patient. "I know my team so well," says Dr. Moshel. "Once I see the tumor tissue in relationship to critical vessels, I can decide whether it's safe to remove all the tumor, or safer for microscopic residual tissue to be treated with CyberKnife radiosurgery. The ability to make these decisions during surgery, knowing the expertise of the brain tumor team, makes all the difference for the patient." After several months of debilitating fatigue, chiropractor James Checchio, discovered he had a skull base tumor - a tumor that grows in the bones that form the bottom of the skull. They are difficult to remove surgically. After consultation with the medical team at the Gerald J. Glasser Brain Tumor Center, it was determined Dr. Moshel would take an unusual, but safer, approach by the cheek bone to access the tumor at the bottom of the skull. "I had a miracle," says Jim. The chiropractor is back to work, gardening, and enjoying life. Patient Jill Ramacciotti underwent awake brain surgery at Overlook Medical Center in Summit, New Jersey. Successful brain tumor surgery and treatment begins with a precise diagnosis. Overlook Medical Center's Gerald J. Glasser Brain Tumor Center in Summit, NJ, offers the most technically advanced neuroscience testing and imaging, including: magnetic resonance imaging (MRI) with diffusion and perfusion imaging, functional MRI, diffusion tensor imaging, and magnetoencephalography (MEG) for functional brain mapping. These sophisticated neurological tests provide neurosurgeons with the information needed to perform awake brain surgery and preserve critical areas of speech, sight and movement. Fortunately, language arts teacher Jill Ramacciotti was able to benefit from these unique tests which provided her neurosurgeon with the precise location of the speech center in her brain. "In the past, we had to make guesses about how a patient's brain is organized; but not everyone has a 'textbook' brain and each person's brain is unique," says Yaron Moshel, MD, co-director of the Gerald J. Glasser Brain Tumor Center. "For example, if you are bilingual or ambidextrous, your circuits can be arranged differently." Since the tumor was interwoven in the speech center, it was determined that awake brain surgery was the best surgical option to preserve Jill's speech. In addition to a highly-skilled neurosurgeon, awake brain surgery requires a sophisticated team of neuro-radiologists, neurophysiologists and epilepsy specialists. "No one has a coordinated team like we do," says Dr. Moshel. "Each individual person here is specialty trained and exceptional, but, as a team, we achieve something truly remarkable." A few months after her surgery, Jill was back to teaching in the classroom. Lisa Merck talks about how the Cyberknife procedure was a lifesaving treatment for her diagnosis. In 2004, Overlook Medical Center became the first hospital in the northeast - and one of the first in the world - to use the CyberKnife, a revolutionary radiosurgery device used to treat cancerous and non-cancerous tumors and malformations in the brain and other parts of the body. It is often used for what are considered inoperable tumors. Overlook Medical Center radiation oncologists boast unmatched experience using CyberKnife. They have treated the most brain tumor patients - more than 1,000 - and have the largest CyberKnife program in the tri-state area for the treatment of brain tumors. CyberKnife combines image guidance and robotics to deliver high doses of radiation with pinpoint accuracy. Image-guided cameras locate the exact position and shape of the tumor so that multiple focused beams of radiation can be directed at the tumor target from multiple angles. The pinpoint accuracy of radiation beams delivered to the exact shape of the tumor allows the healthy surrounding tissue to remain untouched. "Brain tumors are different from tumors elsewhere in the body," says Louis Schwartz, MD chief of radiation oncology at Overlook Medical Center and co-director of the CyberKnife Center. "When a surgeon removes a tumor in the breast, for example, he or she also removes some healthy tissue outside of the tumor in hopes of getting a clean margin. But with brain tumors, the neurosurgeon wants to remove only the affected tissue because every bit of brain is so important." Following traditional surgery, CyberKnife radiosurgery (a form of radiation delivery) is then used to treat the cavity that is left behind after the tumor is removed. This way, any microscopic tumor left behind is radiated and decreases the likelihood of the tumor growing back. CyberKnife can also be used for inoperable tumors, those that have come back, and for cancers that originated in other parts of the body, such as the lung or bowel, and have moved to the brain. Those are called secondary brain cancer, or metastasis. "CyberKnife was a sight-saving procedure for me," says Lisa Merck. Lisa chose CyberKnife to treat her secondary brain cancer after most of the tumor was removed with traditional surgery. Since the tumor was located near the optic nerves that control vision, CyberKnife was able to treat the lesion with one treatment and preserve her sight. "For patients with a few, small metastases to the brain, the Cyberknife is an ideal treatment," says Joana Emmolo, MD, a radiation oncologist at the Gerald J. Glasser Brain Tumor Center. "Often, only one treatment is needed for each focus, and all of the surrounding normal, healthy brain tissue is spared. This allows for minimal risk and maximum benefit," adds Dr. Emmolo. Given the precision of Cyberknife treatment delivery, treatments can be repeated to other parts of the brain in the future, should the need arise.